Eleven Rohingya groups have protested the shooting death of a 25-year-old Rohingya man on Monday near Buthidaung in Rakhine State. Maung Maung died from a gunshot would after a car he was riding in was stopped by Border Guard Police (BGP) while he was returning home, according to a press release. Maung Maung was travelling from Maungdaw to Buthidaung after shopping for his family when the car was stopped by a BGP team at Pawan Chaung Na Ta La village, the group said. BGP officers demanded money from the Buddhist Rakhine driver of the car, the group said. When the driver refused to pay,a shot was fired and a bullet struck Maung Maung in the head. 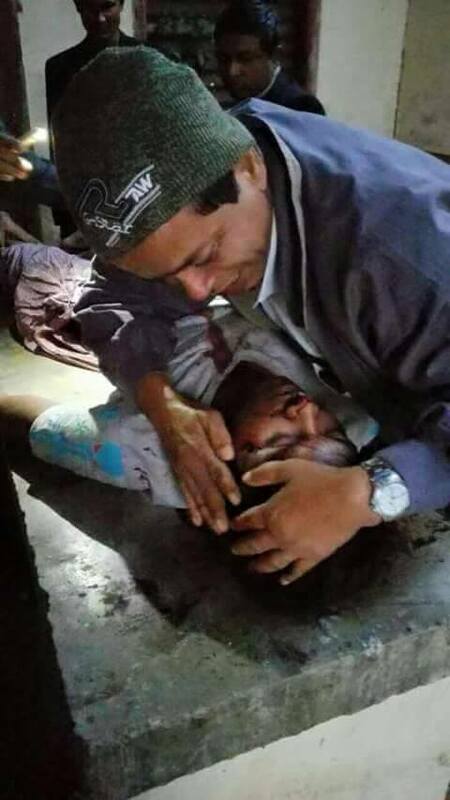 He died at Maungdaw hospital on December 8. Since June, 2012, deadly violence in Arakan State has claimed many Muslim and Buddhist lives, and left more 160,000 people homeless. The group said the government has failed to protect the Muslim Rohingya population and has been a source of systematic persecution. It said various human rights groups and others including the International State Crime Initiative Report from Queen Mary University, the Al Jazeera Genocide Agenda Report, a legal analysis by the Lowenstein International Human Rights Clinic at Yale Law School, and the Fortify Rights group have cited strong evidence that genocide is being committed against the ethnic Rohingya of Myanmar. The group called for a UN Commission of Inquiry into the human rights situation in Rakhine State, the region of the largest Rohingya population. The statement was signed by the Arakan Rohingya National Organization and Rohingya groups in the UK, Denmark, Germany, Switzerland, Norway, Finland, Italy, Sweden and the Netherlands.